You can now receive AutoEntry alerts into Xero HQ for all your Xero integrated companies. AutoEntry alerts sent to Xero HQ aim to provide you with just the important information that you or your team may need to take action on. We'll be adding to and improving these based on your valuable feedback. 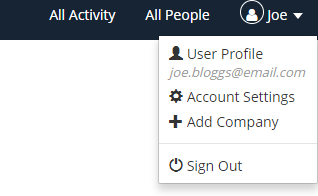 Once integrated, AutoEntry will send alerts for those Xero connected companies on your account that also exist on your Xero HQ platform i.e. those AutoEntry companies and Xero HQ clients that are mutually connected by way of Xero organisations. The integration should be done by the main account user in your practice (perhaps the billing account user). Lastly, authorise the connection to Xero HQ in the pop up window and you will be returned to the Practice Integrations tab in AutoEntry showing the full list of Xero companies ready to begin receiving Xero HQ alerts! And that's it! Do let us know if this article was helpful or if you have any suggestions for future alerts to Xero HQ. if a Xero connected company does not appear on the list after the Xero HQ integration goes through you might need to add the client company to the practice in Xero. Scroll to the client in question and make sure the client is added to the practice.